The Manhattan-born fighter pilot graduated from the U.S. Naval Academy and remained active in alumni activities, his family says. Donald Lister knew the prickly tension of aerial warfare. His first child was born while he flew combat missions from aboard a Navy aircraft carrier as the Korean War raged. Lister, 93, a longtime Roslyn resident, died Jan. 7 of kidney failure. Born in Manhattan, Lister was 17 when he enlisted in the Navy in 1943. He was sent to the U.S. Naval Academy two years later, trained as a carrier pilot after graduating in 1949, and was awarded his wings in 1951. He was assigned to the Navy’s Attack Squadron 55 and piloted single-seat A-1 Skyraiders on 64 combat missions from the aircraft carrier USS Essex. One of his planes limped back to the carrier so riddled with anti-aircraft fire that Navy personnel pushed it overboard. Lister later wrote of being puzzled after listening to a talk given aboard the Essex by Admiral Joseph “Jocko” Clark. Lister quoted Clark as having said: “You men have had the privilege of meeting the enemy face to face.” Lister recalled he was able to appreciate Clark’s statement only after reading an account of coping with fear written by Holocaust survivor Viktor Frankl. 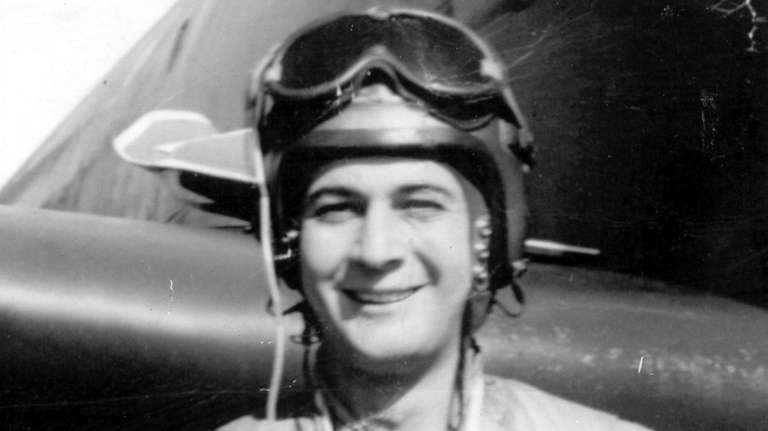 Lister also served as a flight instructor, before his honorable discharge in 1955. After working in the Garment District for his father’s women’s wear company, Lister went into the real estate business in 1984, most recently as a broker in the Roslyn office of Prudential Douglas Elliman. He stopped working about two years ago. He enjoyed golf, which he played even in winter at local courses, including Eisenhower and Bethpage parks. He remained active with Naval Academy alumni activities. After his first marriage ended in an amicable divorce, he later married Phyllis Schwartz. Lister is survived by Schwartz as well as daughters Beth Ann Scrivano of Freeport and Amy Sue Axen of upstate Lake George. A funeral was held Jan. 10. Lister was buried at Mt. Ararat Cemetery in Lindenhurst.